So, bear with us through the first few minutes. This interview was one of the most fun (and really interesting) bookish things I’ve gotten to do! This entry was posted in Other, Videos and tagged Books, Bulikov, City of Blades, City of Stairs, Fantasy, general mulaghesh, Interview, Mulaghesh, Robert Jackson Bennett, Saypur, Shara Thavani, Sigrud, Voortya. Someone pointed Bloglovin’ out to me! I had seen it before but hadn’t really explored it as a platform. I have now claimed my blog there, so those of you who use it can follow me there as well. Cheers! Some days it seems that this mess isn’t going to end. For those of you who were tuned in to the Hugo Awards for the last few years, you probably know all about, or at least have heard about the Sad and Rabid Puppy groups. I know. It’s that time again. A bit of background: the Sad and Rabid Puppies are two groups of SFF readers with a similar proclaimed agenda: to get rid of “Leftist message fiction” and lessen its prominence in the SFF awards system. To do so, last year they encouraged their followers to vote for slates of works put together by their leadership. This in and of itself isn’t too new or surprising, though it flies in the face of the Hugos intention and the spirit of the award.. The problem comes in with some of the supplementary behavior that have happened: doxxing, harassment, review bombing, and general displays of homophobia and misogyny. The Sad and Rabid Puppy slates were successful in placing a large number of their slate picks on the Hugos ballot, resulting in a big uproar among Hugo voters who aren’t part of the groups and a large smattering of “No Awards” being selected. So, here’s what’s going on. After the Sad and Rabid Puppy events of last year and the subsequent plethora of No Awards in the Hugos, I think everyone was kind of hoping that the problems had died down. It seemed like the entirety of SFF fandom was exhausted, and who could blame any of us? But, of course, life isn’t too easy and there’s always a round 2. With the Hugo nominations about to be opened up, the movements are back. It should be noted that the Sad Puppies, the more moderate of the two groups, seems to have backed off of some of the rhetoric and are leaving behind some of the more manipulative tactics of the past year. They have no official slate and their website for the year’s campaign is a list of threads for readers to list suggestions. The suggestions themselves seem to actually take up the majority of the space and are varied (and include Ann Leckie’s works?). It is the Rabid Puppy group that seems to be the point of contention. For those of you who are unfamiliar, the Rabid Puppy group is closely tied to GamerGate and has been known for adoption of some GamerGate tactics. So, since the 2015 Hugos, two “big” things have happened. First, Vox Day was banned from Goodreads, and, second, some independent bookstores have removed Pupppy-affiliated works from their shelves. Vox Day and the Puppies claim that they had set up a Goodreads group with the intention of talking about Hugo-eligible works, which was taken down 36 hours later because of the nature of the ideology in their movement (more or less. A link to Vox’s post about it here.). Other accounts claim that Vox Day and the Puppies were advocating for review bombing. Review bombing is the practice of giving false or spurious negative reviews to a work with the intention of displacing its placement in suggestion algorithms and of discouraging people to purchase or use the work. This would be explicitly against Goodreads’ terms of service. Additionally, there are claims that the group had been organizing a way to get its members “librarian” status on the site to take down works they disliked. There are also claims that the group had been harassing persons with this status. Any of these claims would be reason for Goodreads to take down the group, and depending on the validity of the claims, may be cause to get rid of Vox’s Goodreads account. Both were taken down shortly after the group’s creation. Vox Day has posted this link with a name of who he thinks is the moderator who got him banned from the site. The actions have been used as fuel to the fire of “SJWs are against us” claims the group profligates. Puppies have been saying that the policy is inequitably applied and that persons with more left agenda are left alone when behaving the same way. Let’s be clear: Goodreads was within its rights to take down the group and ban Vox Day. As a privately held company, the behavior was a violation of the terms of service and Goodreads’ enforcement of its TOS is fine. Frankly, I think companies should stick to their TOS. If there is similar behavior that also violates the TOS on the anti-Puppy side, they should also have their groups taken down. Is this a vast conspiracy? I doubt it. The second matter is the issue of bookstores removing Puppy-affiliated works from their stock. The story popping up has been extremely hard to verify. The rundown looks like this: someone claims that a Jim Hines summary of the Puppies was sent around to Toronto bookstores. The bookstores then took affiliated books of their ordering lists. It has not been proven. But, let’s assume it’s true for a minute, which accounts of bookstore stock from people seem to indicate it isn’t. What constitutes censorship? Should we be concerned? Censorship is always a complicated topic. We get touchy about the issue and conflate a lot of different things with censorship. Censorship is when a book or books is systematically made unavailable to the general public, usually with the consent of the government. A few bookstores refusing to stock a book shouldn’t worry us, especially if those bookstores are independent, which would be the suspected case. Accounts still have Correia and others on the shelf in Indigo stores (the Barnes and Noble equivalent in Toronto), there have been no accounts of libraries removing the books (this is generally against library policies everywhere), and the internet has not ceased to make the books widely available in print and electronic form. So, censorship seems like a particularly unlikely thing to be happening. No need to fear, Puppy-beloved books are still obtainable. So, what should we expect over the next Hugos season? My suggestion would be that, provided we as a community engage with moderates who disagree with us, remain civil, and try hard to rebond with people on the opposite side of the “schism” that is the Puppies, then nothing. We should have a fairly peaceable and engaging Hugos, hopefully with a continued increase in the amount of people voting and becoming active in the community. At least, that’s my best-case scenario. We can make it happen. This entry was posted in Other, Thoughts and tagged Books, Goodreads, Hugo Awards, Larry Correia, Rabid Puppies, Sad Puppies, Science Fiction, Toronto, Vox Day. Oh, man. I had been waiting for this one. Literally checking everyday until I could submit an ARC request. And, when the book arrived from the publisher, I could have squealed. City of Stairs was a 2014 release that I really enjoyed. It revolves around a character, Shara, who is sent to a country where the gods aren’t just gone, they’ve been killed. 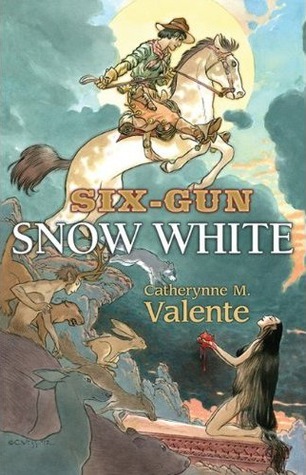 It’s a fantastic fantasy meets spy novel. The follow-up to City of Blades was released yesterday (Spoiler: Get a copy. You’ll love it.). City of Blades follows General Mulaghesh. She was a city governor in the first book and played a big role in Shara’s story in Bolikov. In the newest installment, Mulaghesh has retired, very vocally, and has hidden herself away to drink herself to death. But, Shara, who now has increased power and the same tenacity, has called Mulaghesh back into action. After the Battle of Bolikov, Mulaghesh thought she would be done with politics and the old gods, but she has a sinking feeling when she finds out where Shara is sending her: Voortyashtan. Voortyashtan is the city of Voortya, goddess of death and war. When I had heard there’d be a follow-up, I didn’t pin it for a story about Mulaghesh, but I’m so glad it was. Mulaghesh is a surly general in her mid 60s-ish. She’s surly, prone to finding herself at the bottom of a bottle, and extremely committed to her soldiers. She’s tough to say the least, but she’s a bit of a mystery in the first book. How she became who she is doesn’t get talked about. The newest story goes in-depth into Mulaghesh’s past, and the story is dark. City of Blades also shows Mulaghesh in the aftermath of the Battle of Bolikov. Five years later, and she still is struggling with what happened. This, of course, is made worse by reminders of who she once was. In Voortyashtan, Mulaghesh is forced into close quarters with the man who led her as a young soldier and who is a constant reminder of darkness that follows her. This sounds dramatic, like something that could be out of a melodrama, but the relationships and character backgrounds that Bennett draws are nuanced and complex with a depth that makes them seem very real. Sigrud also appears. He’s a burly Viking-like man from the first book. His character, too, gets a deeper examination and is forced to face his past deeds, though in a different way than Mulaghesh. Sigrud’s daughter, Signe, plays a large role. She’s a fantastically intelligent, full of ambition, and surprisingly complex. She’s a captain of industry determined to bring her country and those around her into a modern age. The setting is equally dark. Voortyashtan is a grim place. The city was flooded and remains covered by the sea. The military outpost there is an old, dank fortress. There are secret hideaways and conflict between the locals and the Saypuri military present. The plot is fantastic. It engages with the same mystery and fantasy elements as the first does, but is complimented this time by an even deeper look into the characters and the history of the world. There are battles and magic and mysticism, including the slip-away, broken bits of divine worlds that were present in Bolikov. My favorite part of the story is the way Bennett approaches war, death, and one’s conscious. Mulaghesh is forced to examine her own past with the topics and, in the land of Voortya (Empress of Graves, Maiden of Steel, Queen of Grief, She Who Clove the Earth in Twain), must face the truth about herself and the soldiers who once followed the goddess. Read it. Like it. Love it. I really believe this is going to be one of the best books released in 2016. A huge thanks to the publisher who sent me a copy for free in exchange for an honest review. 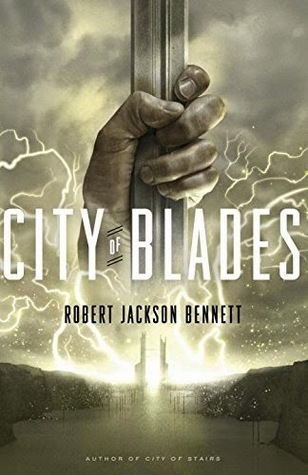 This entry was posted in Reviews and tagged book reviews, Books, City of Blades, City of Stairs, Fantasy, Mulaghesh, Robert Jackson Bennett, Saypur, Shara Thavani, Sigrud, Voortya. My mom was a study skills aid when I was a kid. That seems like one of the natural places to start. She helped kids with learning disabilities to improve their time at school, to stay organized, to retain information. But, she was never content to stop there. My mom was fantastic and she was determined to prepare her children for the best. When I was about three or four, she brought home basic phonics books (Some sadly beaten up knock-offs of Hooked on Phonics). This was all great, but didn’t make me love reading. It was a favorite activity, but actual love would take a while. It was only a little while later that I’d moved on to the big bad world of chapter books and very quickly I had outpaced my peers in reading level. My mother was constantly bringing home older classics (sometimes inappropriate in content, if not reading level). Some of these I would love, but for the most part they were not my favorite books. At about six or seven I found that reading could be really fun, to the point where when I could, I would sneak flashlights into my room to read later. But at about nine, things got pretty bad for a while at home. A family history of mental illness, my brother’s developmental disability, and just general economic difficulties had made living at home difficult, even for those who were able to leave and get alone time. That’s when I dove deep into reading. It took quite a few years for things to level out and then we hit another rough spot when I entered high school. My brother was hospitalized for a long time and our recent move to a rural area meant that the only doctors with expertise in his illness were literally hours away by car. It’s during those two times I realized that I was going to reading as a get-away. Books had always been fun, but they were quickly becoming my safe place in the world. I’ve been thinking about this a lot recently. Books were like my fairy godmother. They were there when I needed my life to be a bit different; they still are. This entry was posted in Thoughts and tagged childhood, escapism, hooked on phonics, reading, thoughts. Moon is a Summer and a sybil. She’s a holy woman from a part of her planet that rejects technology that has been brought by offworlders. Her cousin Sparks is her soulmate, but the two can’t be together. To marry a sybil is to die. So, the two part, sending Sparks to be among the Winters, the powerful, technologically savvy city dwellers. But Moon isn’t just special for being a sybil. She’s also the key to the Winter Queen’s plot to stay in power forever. The Snow Queen just got a reprint to celebrate its 35th anniversary of winning the Hugo and Nebula awards. The new trade paperback is gorgeous. Vinge’s story is a fairly classic fantasy adventure-romance. Snow is a princess-perfect kind of character. She’s determined, kind, everyone loves her. She leaves to follow her One True Love when he calls for her help. In that regard, the story is underwhelming. It’s value isn’t really in Moon, nor is it in Sparks, whose storyline is fairly predictable: separated from girl, becomes briefly evil, magically becomes good again. 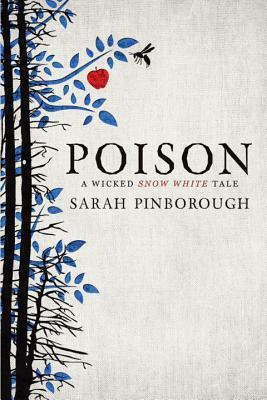 The story is interesting because of some of the early twists and the side characters. One prominent character named Jerusha is among the first ever female police captains. She’s an offworlder with a high post she know she got because the invading force wanted to humor the native government. She’s constantly trying to prove herself while others fail and, at the start of the story, she is fighting to keep order in a world that doesn’t want it. Her frustrations were easily one of the more interesting parts of the story. The story has an interesting setting and a very distinct magic system. The sybils are like oracles, but cursed. They cause madness in those who spill their blood. The offworlders write it off as silly nonsense, and eventually the sybils are only members of the Summers who reject technology. The story itself has a lot to do with Fate and True Love (yes, with capital letters). It toys briefly with some meatier themes like addiction and abuse, but doesn’t really go into them and glosses over a lot of the resolutions. It does talk about environmentalism, poaching, and humane treatment of other animals, which was interesting. I thought the resolution there still wasn’t what it could have been. Frankly, I found it a bit unsatisfying. It seemed like a lot of the more interesting and thought-provoking points are dropped in favor of romance. The main plot was fairly predictable. That doesn’t mean that another person wouldn’t enjoy it, though. I tend not to be a very fantasy-heavy reader. I like fantasy, but more in the literary tradition than the high fantasy one. This entry was posted in Reviews and tagged book reviews, Books, Fantasy, high fantasy, Jerusha, Joan D Vinge, Mers, Moons, Snow Queen, Summers, Sybils, Winters.